From the time we established this website in 2009, we have battled a series of myths used to attack eucalyptus trees. One of the most pernicious is that the trees are short-lived, and so are dying of old age. We discovered that was not true, and dealt with it in our article, Eucalyptus Myths. 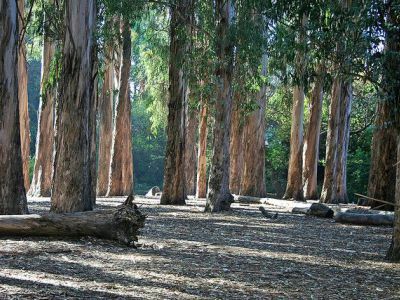 We are pleased to republish this very thorough article, which includes local examples of healthy eucalyptus trees over 150 years old. It is republished with permission and minor changes from Death of a Million Trees, a website that fights unnecessary tree killing in the San Francisco Bay Area. When they started destroying our predominantly non-native urban forest, they learned that it wasn’t going to be as easy as they thought. They began to defend their destructive projects with cover stories to convince the public who didn’t share their devotion to native plants that it is necessary to destroy non-native trees because they are a threat to public safety and to wildlife. 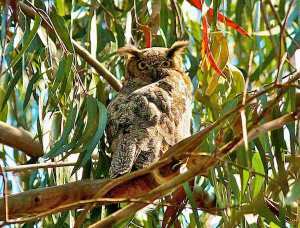 About 20 years ago, one of the first myths was that eucalyptus trees kill birds. It is an absurd claim that is completely unsupported by reality. With a lot of careful research, we were eventually successful in convincing the public that birds are not harmed by eucalyptus. In fact, many bird species are dependent upon the trees for safe nesting and winter nectar. That myth is dead. The claim that eucalyptus and other non-native trees are more flammable than native trees was a powerful narrative that was more difficult to kill. As wildfires have increased in frequency and intensity in California, that claim is no longer credible because every wildfire occurs in native vegetation. Again, this myth was eventually disproved by reality. More recently, we have finally put to rest the claim that “nothing grows under eucalyptus.” This myth was based on a theory that eucalyptus emits allelopathic chemicals that prevent the growth of plants in the eucalyptus forest. Thanks to a recent, rigorous study done at Cal Poly, we know with confidence that the allelopathy story is another myth. It was not surprising that the nativists, having run out of bogus justifications, created a new narrative. In parks that the East Bay Regional Parks District had been planning to thin, we began to see clear cuts. When we inquired about why it was necessary to destroy ALL of the trees, we were told they were hazardous. 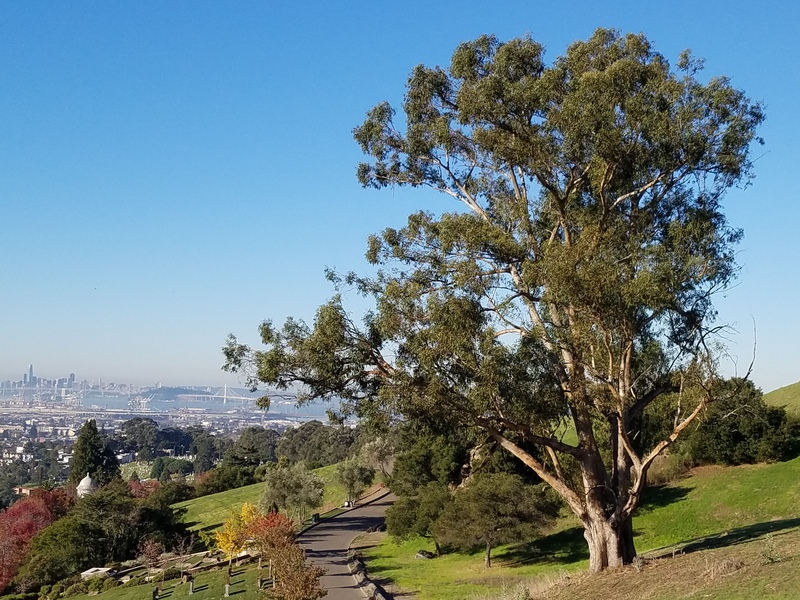 Then, in the minutes of a meeting of East Bay Regional Park District Park Advisory Committee , we saw the claim that eucalyptus lives only 50-60 years. Simultaneously, this claim was made in San Francisco by proponents of destroying all eucalyptus trees there. We eventually tracked down the source of that lifespan estimate to a website called SelecTree, which originally said that the longevity of blue gums is only 50-150 years. We knew that isn’t an accurate estimate because of how long blue gums live in Australia and how long they have already lived in California. We provided that information to the authors of SelecTree and were able to get the estimate corrected to “greater than 150 years.” That’s not nearly long enough, but it is the longest lifespan estimate available on that website and it corresponds with many other trees, including native Coast Live Oak. In the process of researching the lifespan of eucalyptus, we learned several interesting stories about blue gums that have lived in California for 150 years and are still going strong. We would like to share some of this information with our readers today. Blue gum eucalyptus and all other species of eucalyptus are native to Australia. They were brought to California shortly after the Gold Rush of 1849. Since they haven’t been in California 200 years, we don’t know how long they will live here. But how long they live in Australia is obviously relevant to answer that question because longevity is specific to tree species. We can expect some variation by climate, but not much, and the climate of Australia is similar to the climate in California with wet, mild winters and hot, dry summers. Growth Habits of the Eucalypts by M.R. 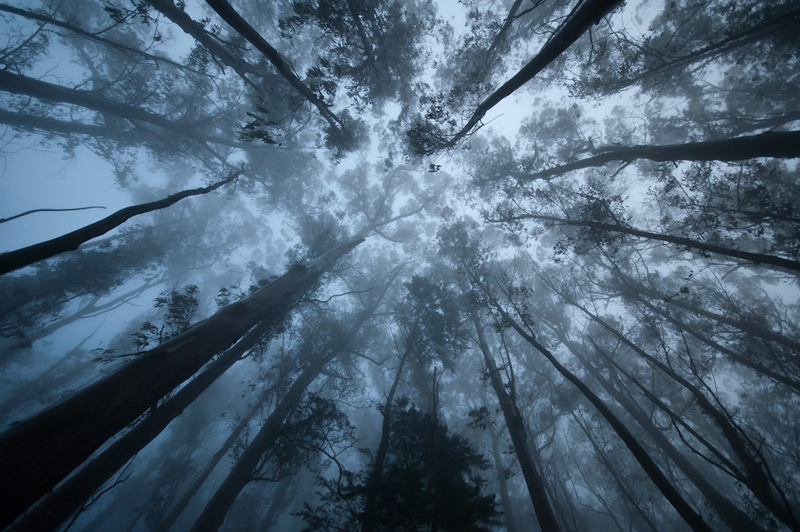 Jacobs, (Institute of Foresters of Australia, 1955, 1986): “Blue Gum eucalyptus lives in Australia from 200-400 years, depending upon the climate.” In milder climates, such as San Francisco, the Blue Gum lives toward the longer end of this range. In other words, since eucalyptus trees have more predators in Australia than they do in California, we should expect them to live longer here. This is called the “predator release” hypothesis. Ironically, that hypothesis is used by nativists to support their claim that eucalyptus is invasive in California. (California Invasive Plant Council rates the “invasiveness” of blue gum as “limited.) It’s only logical to apply that hypothesis to the question of how long blue gums will live in California. However, using actual experience in Australia to predict the future of blue gums in California requires some speculation. Therefore, we turned to the question of how long they have lived in California for guidance. We found several interesting local stories about blue gums that were planted in California 150 years ago and remain healthy and vigorous today. There are many examples of blue gums being planted as street trees in California about 150 years ago. One of the most well-known examples is the city of Burlingame on the San Francisco peninsula. When the City was founded in the 1870s, John McLaren was hired to plant trees to provide a much needed windbreak because the City was nearly treeless, as was the entire San Francisco peninsula. McLaren planted over 500 eucalyptus (blue gum and manna) along the main highway through Burlingame, along with a row of English elms. John McLaren was subsequently hired by the city of San Francisco, where he planted many more eucalypts while serving as superintendent of the parks department for 53 years. The eucalypts in Burlingame are still thriving, but the elms have been dead for about 60 years. SelecTree says the longevity of English elms is “greater than 150 years,” the longest category of longevity published by SelecTree and completely open-ended. The people of Burlingame greatly value their eucalypts and designated them as “heritage trees” in 1975 under a local ordinance. That local legal status did not protect them from several attempts by Caltrans to destroy the trees. The people of Burlingame came to the defense of the trees and were eventually successful in getting permanent legal status to protect 2.2 miles of the trees. 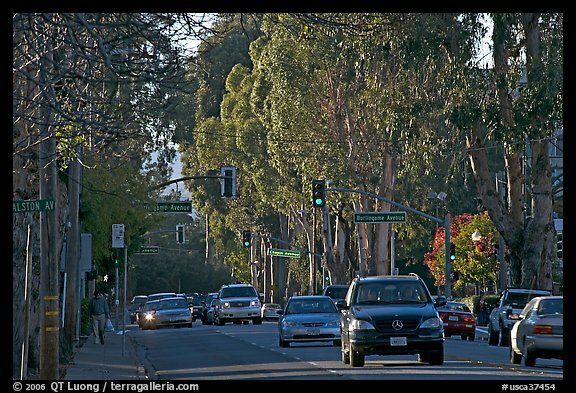 That section of El Camino Real in Burlingame lined with eucalyptus was listed on the National Register of Historic Places in 2012. The life span of street trees is generally much shorter than trees planted as forests because they are subjected to more wind and polluted air of heavily traveled roads, such as El Camino Real. Although blue gums have passed the test of those challenging conditions with flying colors, they have not been planted as street trees for decades. Their out-sized scale makes them unsuitable for that purpose. If blue gums can survive as street trees on heavily traveled roads, they can surely survive longer in the protection of their neighbors in forests. That description of the old blue gums was written in 1971. The trees are still alive and well. I worked on the Stanford campus for 10 years and walked among those trees at every opportunity. Mountain View Cemetery in Oakland, California was designed by Frederick Law Olmsted in the 1860s. Like most of the East Bay, the site was treeless. Olmsted’s design was an eclectic collection of mostly non-native trees, including blue gums. The cemetery is on steep, windward facing hills, where the windbreak provided by blue gums is particularly valued. Olmsted designed a straight avenue through the cemetery lined with magnolia trees. Many of the magnolia trees have died and those that remain are in poor condition. SelecTree claims that the life span of Southern magnolia is “greater than 150 years,” which is contradicted by our local experience. The current owner of the cemetery destroyed many of the blue gums about 5 years ago, in the middle of the extreme drought. He replaced many of the blue gums with redwoods. The redwoods are irrigated and are still surviving. I did not object to the removal of the blue gums because they are on private property. I confine my advocacy to healthy trees on public land. LONG LIVE THE BLUE GUMS! SelecTree has revised its listing of blue gum longevity based on the information we provided. The myth that our blue gums are dying of old age will not die as easily. We will have to repeat this information many times and in many different venues, just as we did for every other myth. If and when that particular myth dies, we can be sure there will be another waiting in the wings. Ideologies stubbornly persist, despite contradictory evidence. And yet, we just as stubbornly persist in defense of our urban forest. This entry was posted in Uncategorized and tagged environment, eucalyptus, eucalyptus myths, life span, longevity of eucalyptus. Bookmark the permalink.